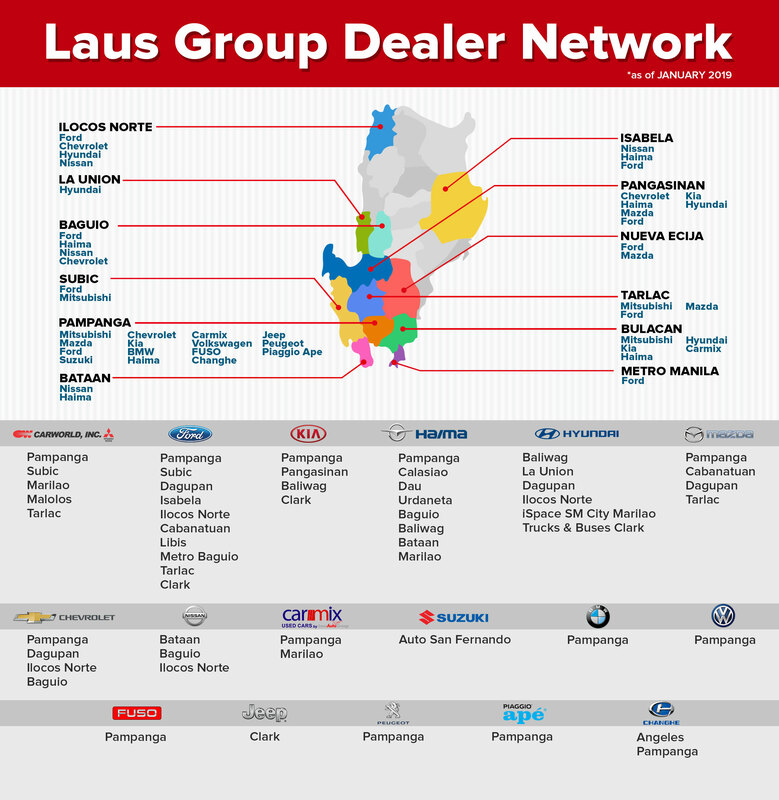 Over nearly four decades, the LausAutoGroup has steadily grown into 40 branches spanning three regions — Metro Manila, Central and Northern Luzon — making it the nation’s leading automotive powerhouse thus far. The LausAutoGroup currently has 11 of the world’s best automobile brands, namely Mitsubishi, Ford, Hyundai, Chevrolet, BMW, Volkswagen, Kia, Suzuki, Nissan, Haima and Mazda. The LausAutoGroup is also a highly respected name in the local market for quality second hand cars , a reputation developed for over 33 years now through Carmix — featuring all car brands with affordable prices including trade in options.